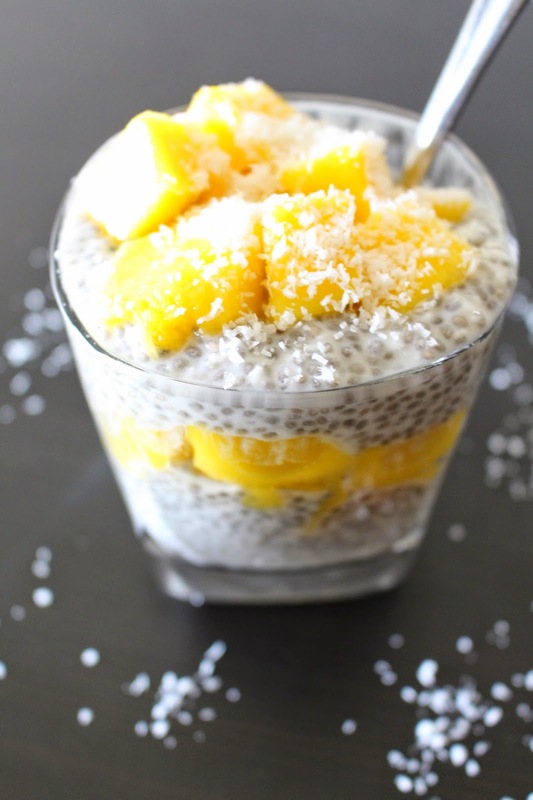 In a tupperware container, mix together all the ingredients (except mango) really well. Seal it, and place your pudding mixture in the refrigerator to set overnight. In the morning, slice your mango. Place some mango pieces at the bottom of your serving dish. Next, layer with some chia pudding, and repeat until desired amount. Its so yummy! I know you will enjoy it! !